Myriads was formed in September 1997, Norway. The band comprises Alexander Twiss (clean-vocals, death-vocals, electric guitar, and acoustic steel- and nylon-string guitars), Mona Undheim Skottene (vocals, main-piano and keyboard), J.P. (electric guitar, and acoustic steel- and nylon-string guitars), Rudi Junger (drums and percussion), and Mikael Stokdal (black-vocals, keyboard and piano). Although Myriads’music defies categorizing, the group would describe their music as a fusion between metal and classical sounds. It also contains some elements of folk music and has some industrial parts. Their lyrics are written by Alexander Twiss and Mona Undheim Skottene and are based on psychology, philosophy, and dreams, with dramatical elements. In July 1998 was released a four track demo-CD: In Spheres Without Time". 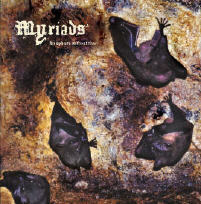 In April 1999 Myriads signed a record deal with Napalm Records. In June they recorded their first full-length album, also entitled "In Spheres Without Time" in Mansion Studio. The album was released worldwide the 22nd of November 1999. 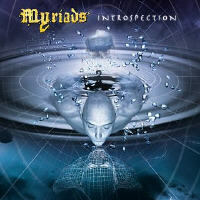 In March 2001 in Finland was recorded their second album- Introspection. The members of Myriads have all progressively developed as musicians, and the music in the new album was more technical than it was earlier.